Totaly Bread: Issue is dedicated to North Country, styled bread. Photo and text guide for home made bread. 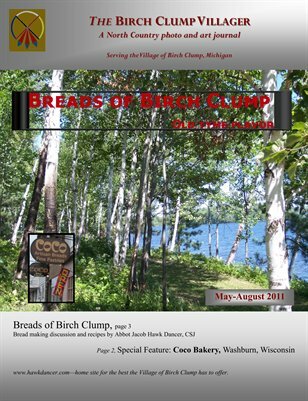 Coco Artesian Bread (bakery and eatery) of Washburn, Wisconsin is featured. Delicious aromatic recipies included. Novice and experienced bakers will apprciate this issue of BC Vilager.